Breakout hitters got their due on Monday and yesterday it was breakout starting pitchers. Today, it is all about some surprising relievers. In the second half, there were not a lot of new relievers bursting on the scene. There were some pitchers who had nice stretches like Jordan Minch and James Norwood, but those two guys have been around awhile. When when it came to new faces in new roles, the list is pretty short. At Myrtle Beach, Manny Rondon switched into a new role as a Cub. 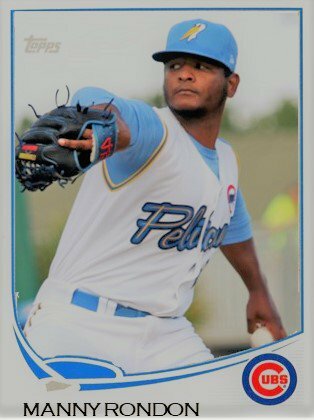 Manny had been a starter for most of his Cub career but moved to the bullpen this year after some arm troubles last year at South Bend. Rondon flourished in the second half making two all-star teams in July and August. 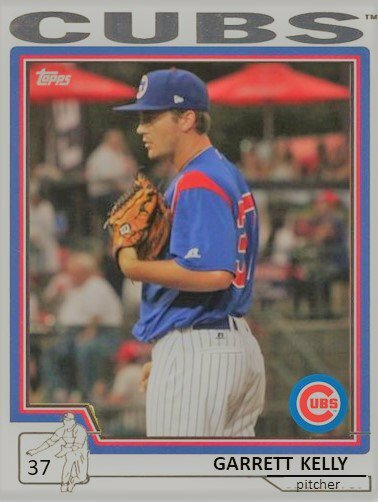 He had a 1.95 ERA in 18 games for the Pelicans and looks like he could be a left-handed specialist fairly quickly if he can get through Tennessee. South Bend seems to be where relievers are born the past few years. This year saw the emergence of three arms in the bullpen. Brian Glowicki had an outstanding year as the closer. He did not allow run in August. Next year should be his test. His greatest strength is his bulldog mentality on the mound and he really seemed to step it up as this year went on. Brendan King has a curveball that is deadly. For most people, that might be all you need to know about the 24-year-old out of Holy Cross. He didn’t have the most dominant year, but he had the most dominant pitch. If King can get his secondaries to roll out on command, to get his fastball down in the zone, and to maybe develop another breaking ball to go with his curve, he could impress and impact the system over the next year. Sean Barry of Eugene had a nice summer in the Northwest League striking out 42 in 35.2 innings while being named a Northwest League All-Star. The 23-year-old righty out of San Diego. Barry has good size and good life on his low to mid 90s fastball. However, Barry’s greatest asset is his demeanor. He just attacks the zone. But the winner this year is someone everyone had no clue was coming. Garrett Kelly was released by the Twins at the end of rookie ball in the Gulf Coast League in 2016. He spent 2017 hanging around the Frontier League with the Schaumburg Boomers. 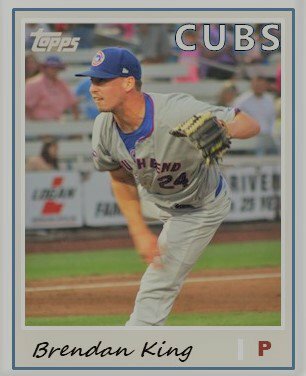 The Cubs signed Kelly at the end of spring training in 2018 and assigned him to South Bend. Once he debuted, it was quite evident as to why he was signed. Kelly features a 95 mph fastball and has two developing secondaries including a slider and a change. The most telling aspect of his dominance was that opponents only hit .161 off him across 2 levels. He still has a few command issues, but is working to improve his consistency. I would not be surprised to see his stuff tick up a little bit with an off-season “Cubs” training regimen this winter. Kelly has only been in the Cubs’ system for five months and is just now beginning to reap the benefits of being a Cub. He was promoted to Myrtle Beach. Here is to hoping he continues to improve greatly through fall instructs and spring training.